It’s magic. Okay, not really. But don’t be alarmed if your coconut oil “magically” transforms from solid, to liquid and back to solid. With a melting point of ~74°F, coconut oil can shape-shift from a solid to a liquid. No refrigeration needed unless you prefer a harder, more solid oil. 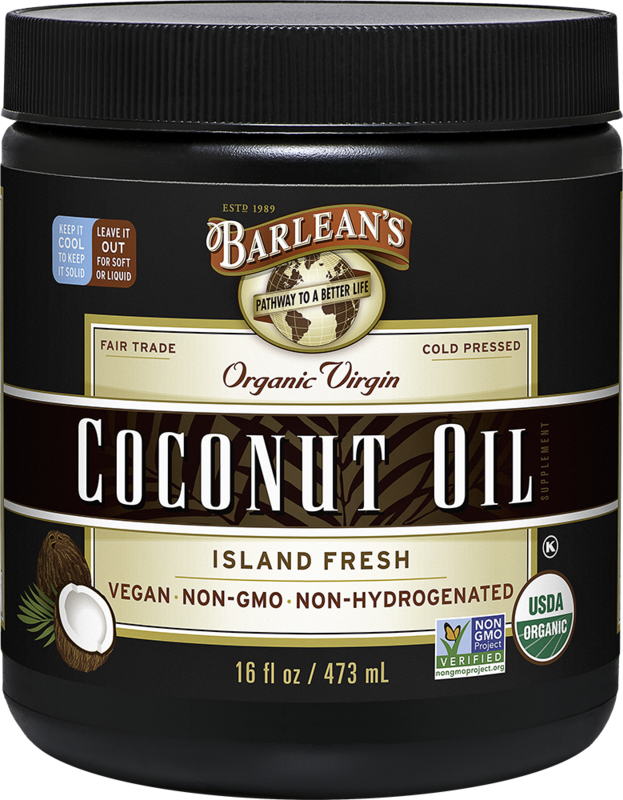 Barlean’s Virgin Coconut Oil is harvested at the peak of flavor and nutritional value, cold-expeller pressed and bottled on demand. 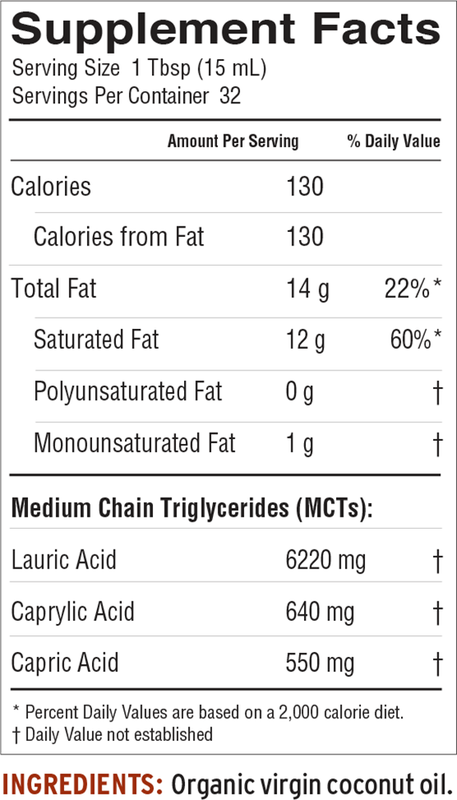 Supports a healthy immune system, metabolism, and cardio system*. Light, sweet-nutty coconut flavor makes it perfect for curries and smoothies. Get fresh recipes, discounts + health articles—delivered monthly to your inbox!